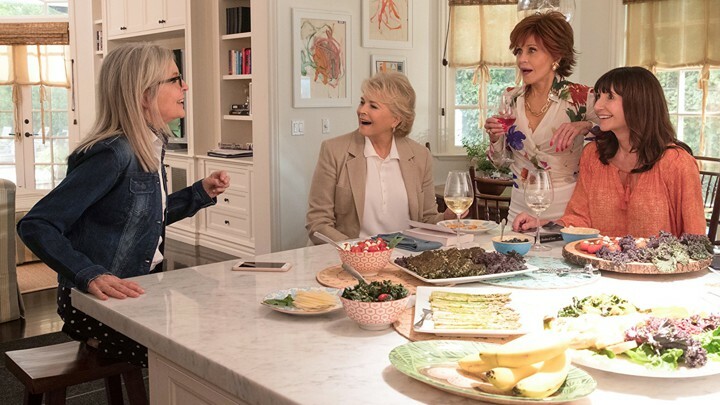 Join us for this Tuesday Movie Matinee: Book Club (2018) starring Diane Keaton, Jane Fonda, Candice Bergen, Mary Steenburgen and Craig T Nelson. Diane (Diane Keaton) is recently widowed after 40 years of marriage, Vivian (Jane Fonda) enjoys her men with no strings attached, Sharon (Candice Bergen) is still working through her decades-old divorce, and Carol's (Mary Steenburgen) marriage is in a slump after 35 years. The lives of these four lifelong friends are turned upside down after reading the infamous "50 Shades of Grey," catapulting them into a series of outrageous life choices. Comedy. Rated PG-13. 104 minutes.